It has been a week since we served the last dinner at the 9 day Banaras ka Khana festival at Three Sixty One, The Oberoi Gurgaon. 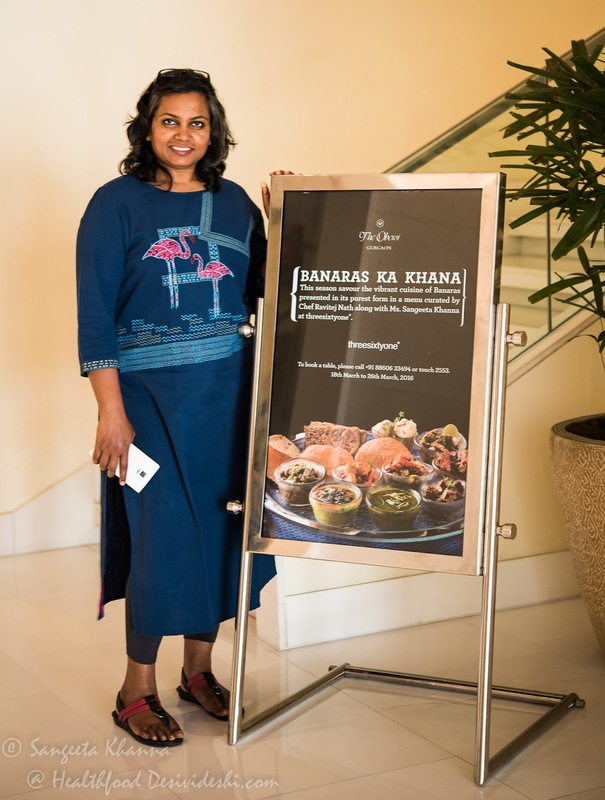 Yes Banaras ka Khana gets to showcase the cuisine and the heritage behind such a unique tradition that we have inherited. 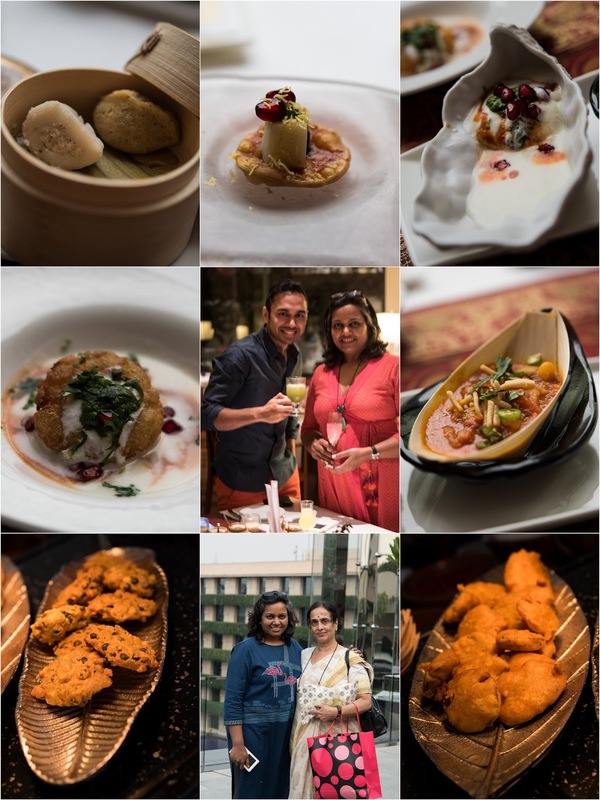 The Oberoi group is trying to revive the Indian regional cuisines under their flagship program called Rivayat and when Chef Ravitej Nath invited me to curate a Banaras ka Khana experience at The Oberoi Gurgaon I was thrilled to the core. 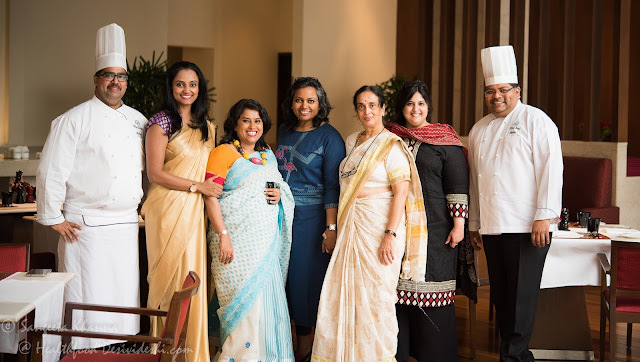 After all I have been trying to bring forth the lesser known traditions and recipes from my city and this was a great opportunity to talk about it at a wider platform. 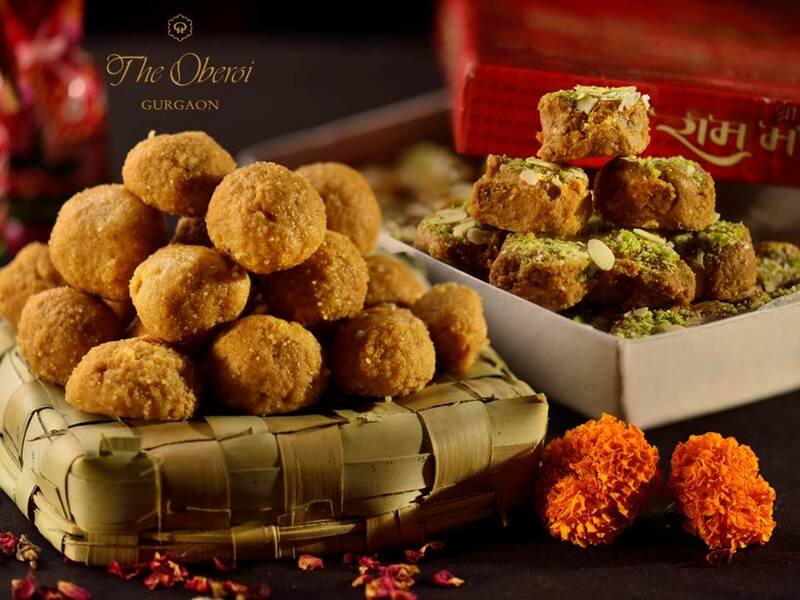 The Oberoi Gurgaon called the Banaras ka Khana experience as Divine Intervention as the festival was timed with Amla ekadashi, also known as Rang bhari Ekadashi when the Holi festivities start and Shiva is considered to participate in it with loads of Bhang and Rang. Rang (colour) used to be natural and floral in the older days during Holi and is also meant how the season bring so much colour through the flowering trees and plants. Lord Shiva had married Devi Parvati on the day of Shivratri while he goes to Parvati's home on the day of Rang Bhari ekadashi for Gauna (when the bride comes home) and they play Holi with colours on this day. This is the official start of the festivities in Banaras. So many Great and Little traditions are still alive in Banaras. 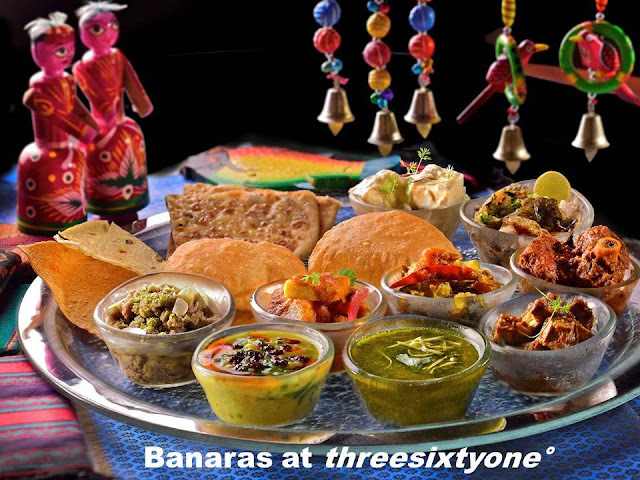 Amla Ekadashi is a Great tradition in Banaras when families go to Amla orchards for a religious picnic, they cook under Amla trees and eat the food there. Amla tree is considered as the incarnation of Lord Bramha and the food is taken as a prasad, all food is cooked in earthen pots and served in leaf plates, this tradition of religious picnic in Banaras is unique in the sense that ecological preservation was linked so beautifully with religion. 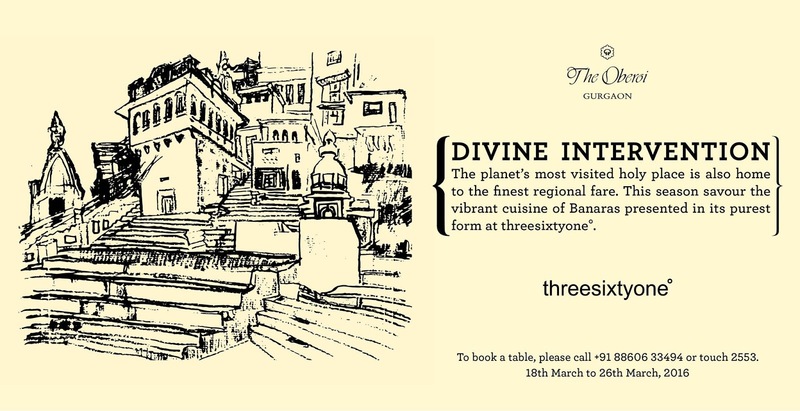 Otherwise too Banaras is known for the outdoor picnics in the numerous Mango orchards and the sands of the Ganga across the river on Ramnagar side. People used to hire Bajdas (houseboats in Banaras) to go to the other side of the Ganga (called as O paar in local parlance) and cook litti chokha or even poori subzi or dal chawal chokha kind of meals on wood fire and earthen pots. We have done some of these picnics in our childhood, sometimes we used to pack food from home too. The picnic culture is Banaras has kept alive the non vegetarian cooking even in the families where meats are prohibited in their kitchens. 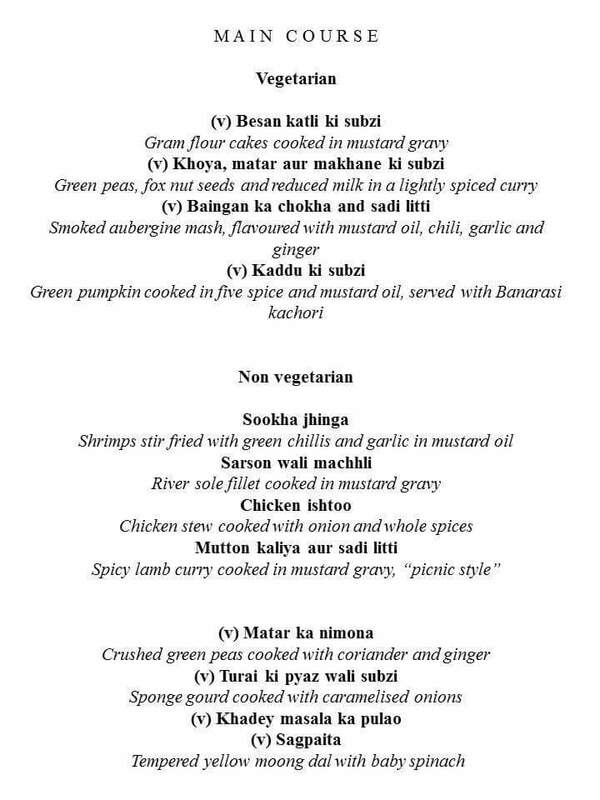 We brought some of the outdoor picnic recipes of fish and meat to the festival too, but the majority of the menu was sattvic vegetarian. Most of the recipes on the menu are already there on this blog. 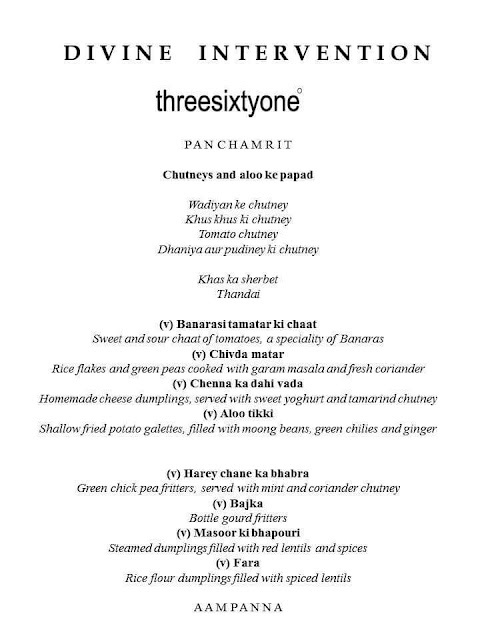 Chivda matar, Fara and Bhapouri were included as a representative of the rich variety of flavours that we have in our starters. 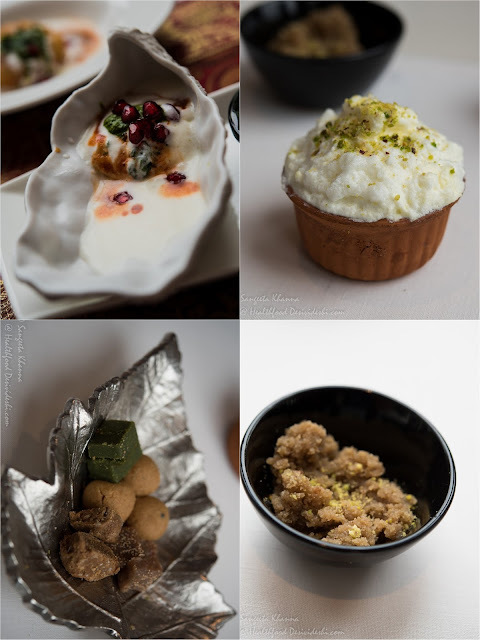 Chhene ka dahi bada, Mung stuffed alu tikki and Tamatar ki chaat were liked a lot by the guests. Incidentally, the slight sweetness in the traditional recipes of Banaras comes from the Gujrati influence as it was the Gujratis who came as the first set of traders and set up Soot Tola (no more exists) from where the brocade and silk trade developed to its present glory. 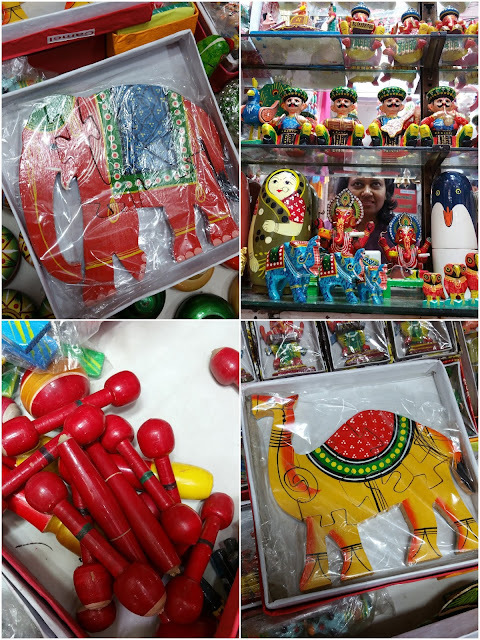 A lot of other influences from Marwari and Baniya communities also came along as more traders came from other parts of the country later. I have discussed some of this here. Thandai, Aam ka Panna (with hing ka dhungar), Khas ka sharbat and an assortment of chutneys was served and we got very good feedback from all the guests. The Thandai was hand crafted and we made a fresh batch everyday as it doesn't keep well once made with raw ingredients. We served Bhabra and Bajka as representative of the various types of pakodas we have in the region. 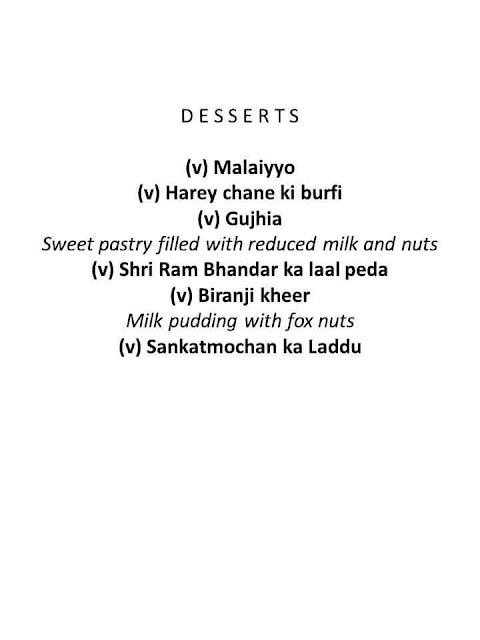 Bhabra is the harey chane ka pakoda that is most likely a direct exchange of ideas between Gujrat and Banaras. I had discovered Harad ka golgappa in Banaras more than 2 decades ago with my research guide as she use to take me for impromptu old Banaras walks sometimes and had introduced me to this dark hued golgappa that was considered as digestive after a high dose of chaat. We served this as Harad ki Papdi at the Banaras ka Khana festival. Bringing back some of the forgotten gems was such fun. No one makes Harad ka golgappa in Banaras now as all the chaat walas have started outsourcing all their ingredients half done and rarely they make the chaats from scratch like the older days. . Serving our favourites like Khoya matar makhana, Matar ka nimona, Turai pyaz ki subzi, Alu baingan palak ki subzi, Kaddu chane ki subzi, Besan ki katli with Banarasi kachoris and some millet rotis and khade masale ka pulao was a delight as people loved these unconventional subzis and flavours. We served Khoye ka Paratha as well and it was loved by everyone. Sadi litti with alu ka chokha also became quite a favourite with the guests as well as the kitchen team. 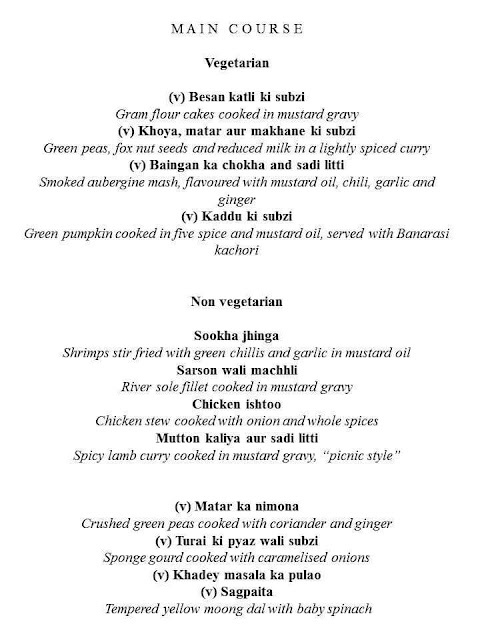 Imagine we did not serve any paneer dish in the vegetarian menu and it was still well received. There was no tomato used in any dish apart from Tamatar ki chaat and tamatar ki chutney. We made Mung ka cheela on some days too, we kept changing the menu a little everyday so we could showcase more of the cuisine. We served Khas khas ka halwa, Harey chane ki burfi, Kamalgatte ka halwa, Sankatmochan ka laddu, Sri Ram Bhandar ka Lal peda and Malaiyyo too at the festival. We had brought a Malaiyyo maker from Thatheri bazar who used to churn fresh Malaiyyo every morning and we used to keep it in the walk in refrigerator till the dinner time. 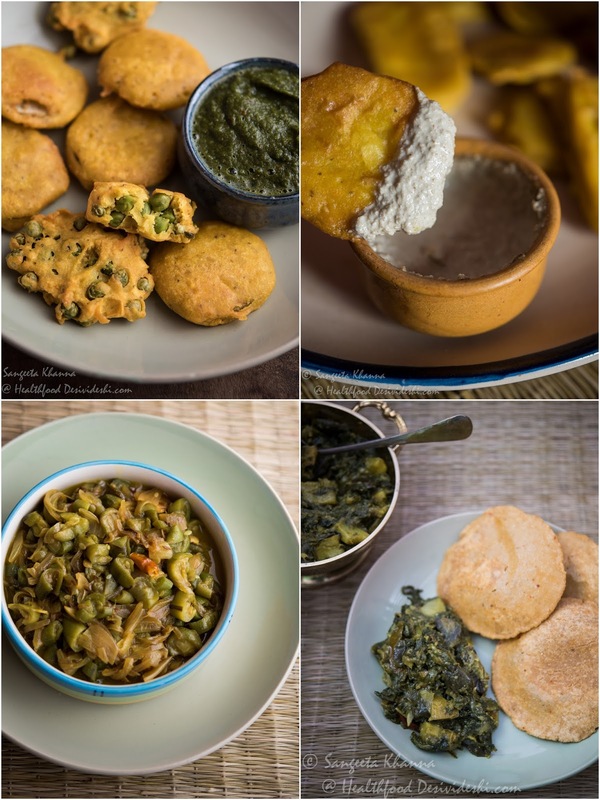 Though Malaiyyo doesn't keep well in the fridge as it gets a little dry after a while, this is what we could manage and people loved the malaiyyo a lot. Sankatmochan ka laddu was gifted to us by the Sankatmochan Foundation and it was really a blessing from Banaras. I had gone to Banaras for a couple of days just before the festival and brought back many ingredients that we don't find here. The rice used for making Khade masale ka pulao was the short grain rice called Jeerabutti from Banaras. I brought some wooden toys too that has been an ancient cottage industry in Banaras. These were given as return gifts to some of our esteemed guests. I must add that the team at The Oberoi is so efficient that they planned every little detail including the table decor, the menu, the gifts and the promotion material. Chef Ravitej Nath, Chef Manish Sharma and Mallika Gowda were my support system all through the festival. In the kitchen the team of Chefs was very quick to learn everything and make bulk amounts of every dish very efficiently. 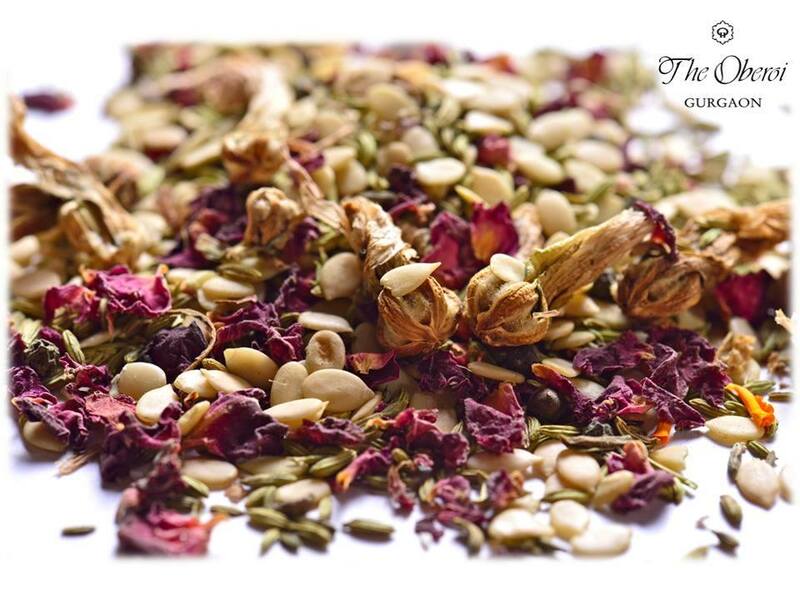 We had new challenges everyday as some of the ingredients would be difficult to find or the quality we needed was difficult to procure but the team managed to get everything I needed to bring out the original authentic flavours. 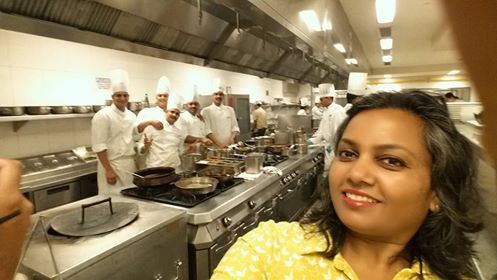 Chef Bijender known as Chacha in the kitchen is a magician at work as he works quite fast and can replicate anything intuitively. 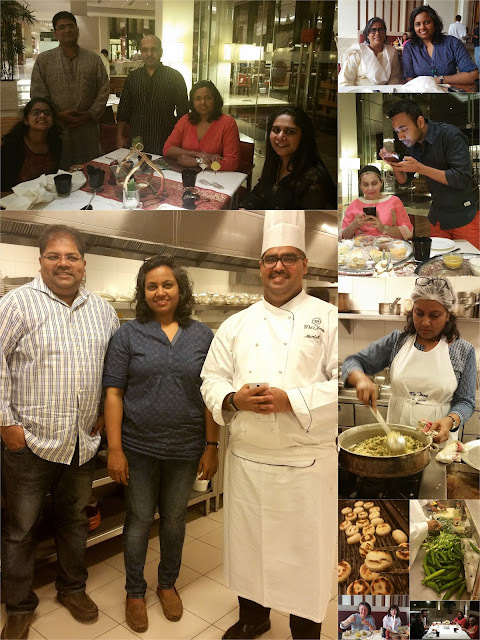 Chef Himanshu, Chef Ankush, Chef Adnaan and Chef Varun were great help always along with Monu and Inder who came from Banaras to make Malaiyyo and Tamatar ki Chaat. All the hard work in the kitchen translated quite well on the tables I must say. It was great to see happy faces after each meal. Bringing the lesser known cuisines into the mainstream is a great work that The Oberoi team is doing. Banaras ka Khana will be committed always to bring the cuisine to connoisseurs whenever possible. Congratulations Sangeeta! I am a follower of your blog from long time (if you remember) and Iknow how much effort you put in bringing forth the traditional and forgotten recipes. Loved it. Mara gaaon, maara desh :) When are you hosting it in Bangalore?